Published: May 25, 2014 at 11:31 a.m. 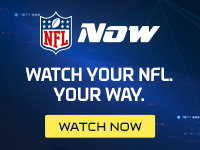 Updated: May 27, 2014 at 09:18 a.m.
Jacksonville coach Gus Bradley told Around The League in March that free-agent acquisition Toby Gerhart has bell-cow potential in the Jaguars' young offense. Running backs coach Terry Richardson recently explained that it was Gerhart's ability to gain yards after contact that attracted the Jaguars. "He's a horse," Richardson said, via The Florida Times-Union. "He's a big guy, and I talked to one of his former (position) coaches, and he was saying Toby had the strongest legs he's been around in terms of his leg drive and leg power. We're excited about that." Gerhart ranked fourth in the NFL in yards after contact per rushing attempt (3.8) in Pro Football Focus' 2013 ratings. He has demonstrated a penchant for breaking arm tackles throughout his four-year NFL career. Gerhart believes he has always had the skill set to be a starter, but was stuck behind the best running back in the game. One of our top 10 bargains entering free agency, Gerhart averaged 19 touches and 99.4 yards from scrimmage in eight games as Adrian Peterson's replacement. At his introductory press conference, Gerhart compared his situation to that of Michael Turner, who backed up LaDainian Tomlinson for four years before exploding for an average of over 1,200 rushing yards and 12 touchdowns in five seasons with the Falcons. It's interesting to note that Jacksonville general manager David Caldwell was in Atlanta's front office when Turner was signed away from the Chargers. A better Gerhart comparison might be a more well-rounded version of LeGarrette Blount. Much like Blount, Gerhart is a sledgehammer with straight-line speed and the lateral agility of a riding lawnmower. Unlike Blount, Gerhart is a plus in pass protection and the receiving game. With no legitimate competition on the roster, Gerhart will be a candidate to lead the NFL in touches this season. Behind the Jaguars' untested offensive line, though, he might struggle to come within a yard of his impressive career average of 4.7 yards per carry.